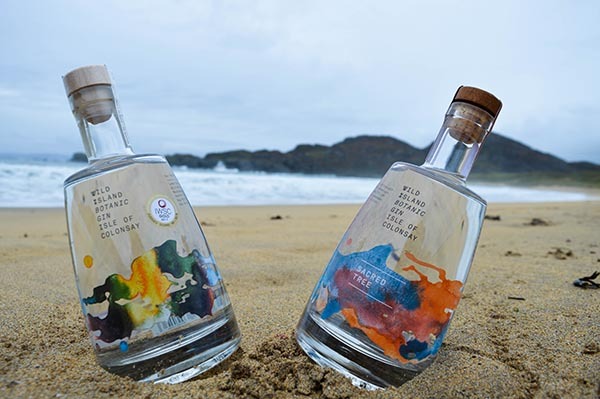 Wild Island Botanic Gin is a celebration of the beauty and unique character of our island home, the Isle of Colonsay. We set out to create a truly exceptional spirit crafted around the native botanicals that grow on our crofts here in the Southern Hebrides off Scotland’s West coast. The superb quality of our spirit was recognized with the award of a Gold Medal in the contemporary gin class at the 2017 International Wines and Spirits Competition. Along with our original, we have added a second permanent expression to our family of drinks. Wild Island ‘Sacred Tree’ Gin is inspired by the Autumn fruits found around our Wild Island home.